Pete's Paleo Petshop is a series of children's books, set in a world where people can go to the pet shop to find a prehistoric friend. Each book will focus on a different time period, such as the Silurian, Permian, or Oligocene, and the first one I am starting with will take place in the Jurassic. Here is where I will post the concept art, practice doodles, and fossil studies of the featured critters. I hope you will enjoy it! Here is a study of a brachiosaurus girrafatitan skull (I'll be posting a brachiosaurus skull soon) to break the ice. I'm sorry about the lines. This started as a quick doodle in my pocket notebook I always carry with me, but I got a bit carried away. I'll have to get one of those pocket notebooks without lines. My chickens as the raptors they seem to think they are. Let me give you a summary. 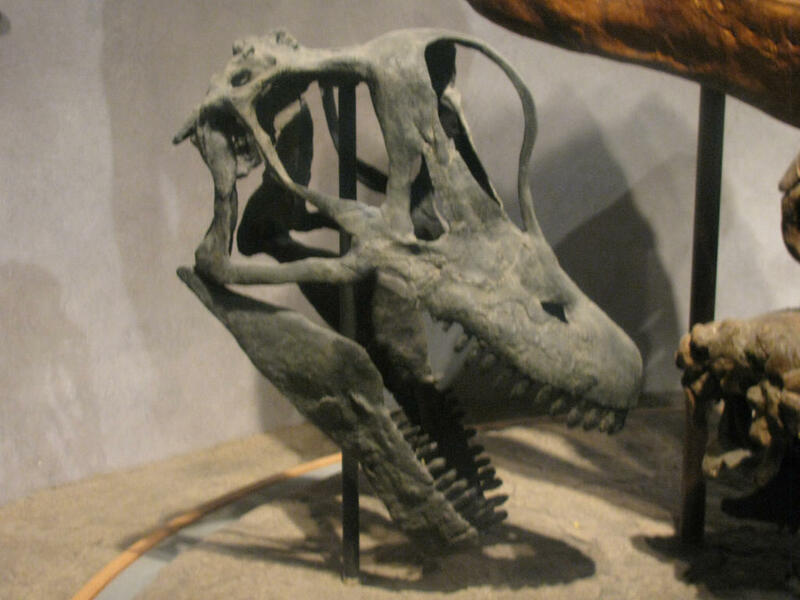 Some sauropod fossils were discovered in North america,but there was no skull in that find. But a re-study of the B.brancai fossils revealed that those remains were different enough to represent a new genus, so paleontologists renamed B. brancai as Giraffatitan brancai. Thus the skull doesn't belong to Brachiosaurus anymore. This is one of those things that get ignored even by the people who are into dinosaurs or they just don't know because there´s very few information about it. Making this mistake is very common, so there´s nothing wrong about it. MLMjp's good summary is correct. That's a Giraffatitan brancai skull. But a re-study of the B.brancai fossils revealed that those remains were different enough to represent a new species, so paleontologists renamed B. brancai as Giraffatitan brancai. I imagine you meant genus, rather than species? 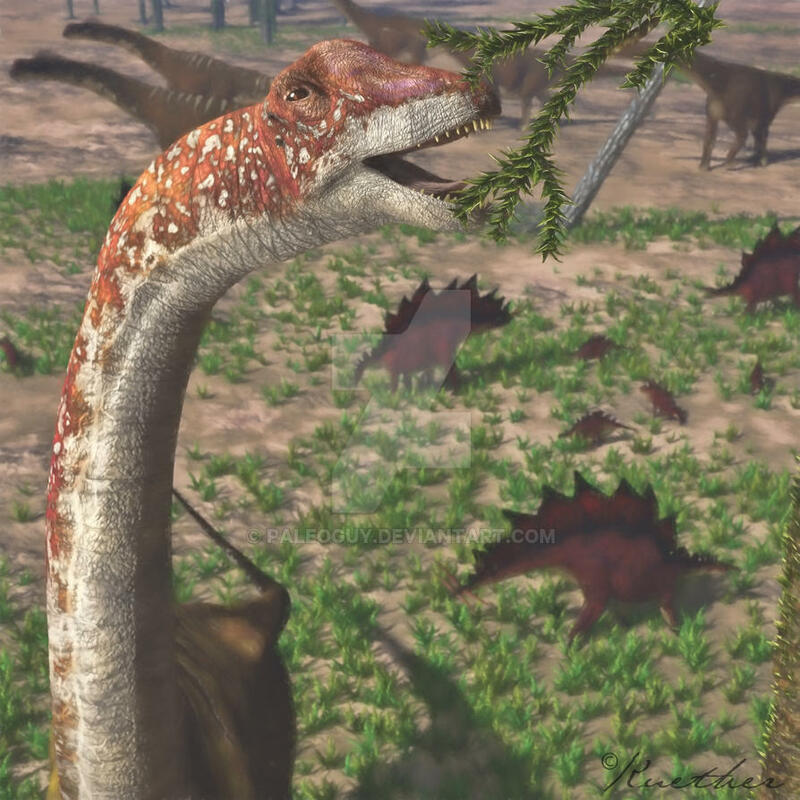 brancai has always been a separate species from altithorax, it was just eventually found the skeletons of those two species are significantly different, so brancai was reclassified in a new genus (Giraffatitan). And to make things more complicated, the original Giraffatitan skull is rather distorted, so different restorations can look quite different. Thank you for the clarification! This right here is exactly why I am going to be posting concept art on the forum, so that forum members like you can help me catch stuff like this. Thank you MLM, those images are especially helpful. I recall reading about the skull mixup somewhere here on the forum, but I didn't know where to look as far as reference was concerned. 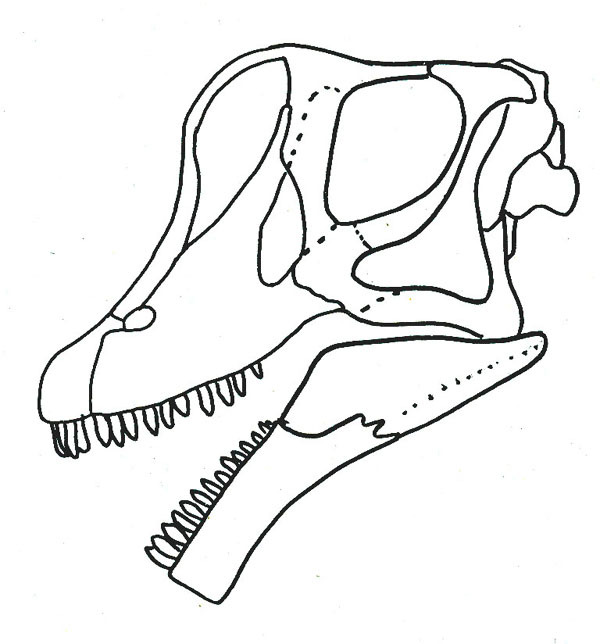 Study of a brachiosaurus skull, along with a rather conservative reconstruction. A few things about it I'm not entirely happy with, but ah well, best call it done and stop messing with it. I plan on experimenting with a few more speculative reconstructions soon, most likely closer to the style I plan to use for the picture book. Thank you to all the reference pictures you shared! Here I am experimenting with style, and camptosaurus, because ornithopods don't get enough love. The actual illustrations will have the foreground elements in pencil I think, and of course I shall research the environment properly so the plants look like they're supposed to. I would like to expand on this little scene, for fun. Perhaps it's the breeding season, and the little bull is calling his seasonal harem's attention to a particularly good patch of edibles. It has come to my attention that not all computers will show the pictures I've posted (they're from photobucket), so I have added links to the corresponding deviantart page beneath the camptosaurus up there. i will collect all dinosaurus models in the world! check out MY NEW YOUTUBE CHANNEL!! !Blueproduction dino action!!! Dont forget to subscribe for more stuff!!!! It's been a while since I've posted any new pictures, but I've been really busy behind the scenes. Pete's Paleo Petshop is now open! Or the website is anyway, since we can't really have prehistoric critters for pets. Click here to meet the critters at the shop! Your artwork is so charming! I especially love Copper & Daisy and Skittles!! Best of luck with your books; they're exactly the type of storybooks (and artwork in particular) I wish there were more of. Thank you! Dilophosaurus has always been one of my favorites. Here's another one for you to enjoy. 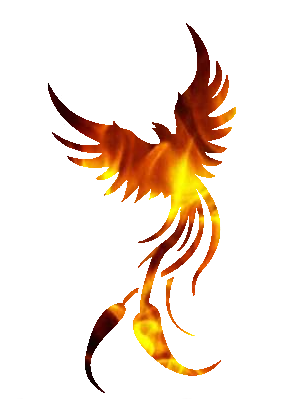 You can see the full color version, and more info, by clicking this text. Today's Critter of the Week is Picasso the dilophosaurus. Click here for a quick hello. He'd love you if you stopped by. Of course, credit is due to the Sideshow dilophosaurus pair for being a wonderful reference. I just added soft tissue and cute fluffiness. I'm not sure why, but he looks like he's about to fall on his face, and there's too much weight in the front. Any advice as to why he looks too front heavy would be very helpful. Nice illustration! I think your observation about him looking front-heavy is primarily an issue of the right leg's positioning. If it were angled further forward it would look like he's actively stepping forward instead of leaning/falling. Just a minor correction for the plesiosaur: the eye should be further forward.